536 acres in western Mason County and eastern Grays Harbor County. 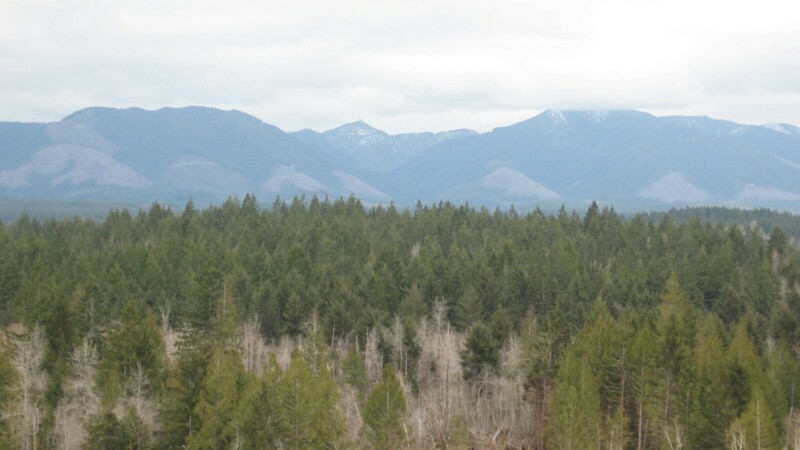 The property contains two miles of Decker Creek, forests and wetlands. The property’s wetlands, streams and forests provide exceptional wildlife habitat for a wide variety of species such as river otter, black bear and elk. Coho, Chinook, chum, winter steelhead, and cutthroat all use the wetlands for spawning and rearing, moving freely in and out of the wetland complex from Decker Creek. Permanent conservation of more than 530 acres of wetlands and forest lands in the East Fork Satsop watershed was announced today by Eric Erler, executive director of Capitol Land Trust. Capitol Land Trust provided leadership to acquire the Decker Creek Wetland Complex from Green Diamond Resource Company. “This project is the culmination of five years of work and results in the protection of some of the region’s most intact salmon and wildlife habitat,” said Erler. Located near Matlock, Washington, the Decker Creek Wetland Complex contains two miles of Decker Creek, a key tributary to the East Fork Satsop River . The wetlands, streams and forests provide exceptional wildlife habitat for a wide variety of species such as river otter, black bear and elk. It is also a critical salmon spawning system. Coho, summer and fall Chinook, chum, winter steelhead, and cutthroat all use the complex for spawning and rearing, moving freely in and out of the wetland systems from Decker Creek. Grant funding to purchase the property was provided through the Salmon Recovery Funding Board and the Washington Wildlife and Recreation Program. Under the terms of the agreement, Mason County will own the land and Capitol Land Trust will act as stewards to ensure the site retains its natural characteristics and exceptional habitat in perpetuity. Green Diamond lands adjacent to the complex will continue to be managed as working forest, providing further protection for the wetlands, according to Eric Schallon, the company’s Washington land management and business development manager. “This type of conservation is a perfect fit with working forestry,” he explained. “Both Green Diamond and Capitol Land Trust are focused on conserving fish, wildlife and clean water,” he added. The project was a direct result of a remarkable partnership between Capitol Land Trust, Green Diamond Resource Company, Mason County, U.S. Fish and Wildlife Service, National Marine Fisheries Service, scientific advisors and private donors.